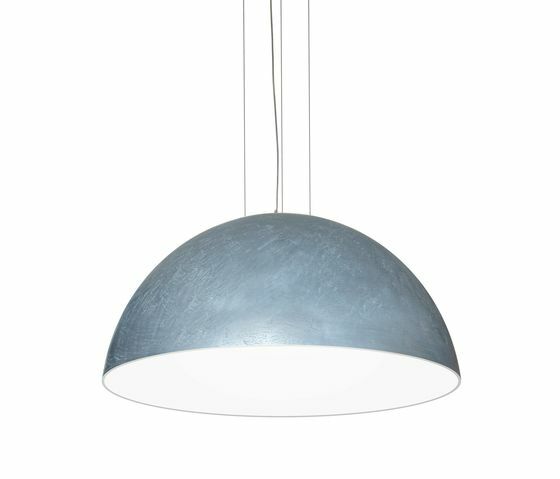 Designed by ”studio IK” the Cup is available as suspension lamp and comes in 6 standard diameters and colours. The material is fiberglass which gives the lamp the possibility to be customised in various ways. The Cup can be customised with a choice of exterior textures: bronze look, metal look shiny white/black. The inside standard colours are Fuchsia, gold, gold leaf, lime-green, orange, white and red. The handcrafted Cup is characterised by its attractiveness and simplicity. The light flowing from the center of the lamp creates a warm lighting atmosphere. The various sizes and colours available can be combined to create complex, personalised compositions. The handcrafted Cup décor is characterised by its tasteful neo classical appearance, which is given by a border of decorative plaster on the inside.